Sixty five years ago, in July of 1947, Europe was still reeling from the effects of World War II, with widespread housing shortages due to war destruction, reports of thousands starving, the dislocation of refugees, and massive unemployment barring any quick recovery. The United States feared that political instability in Europe would pave the way for the acceptance of communism, and on June 5, 1947 announced an international aid strategy, known as the Marshall Plan, to prop up the European economy and undercut Soviet influences. [Hungry] countries should not have another child for a decade. They should do all in their power to help keep women from having children for that period--until the food and economic situations are adjusted. . . . In this country we have achieved a favorable balance of population and resources. This situation has contributed greatly to the raising of our national standard of living. But it will do us little good if in the end European and Asiatic countries, and some of our possessions, continue to overflow their boundaries, crowd their resources and breed themselves into new famines. Many of them will ultimately breed themselves into another war. For that reason the whole world should be interested in the intelligent limitation of population. (New York Daily News, July 1, 1947). Never have I needed a helper more than I have since I left LaGuardia. My tossing a challenge at American reporters brought an avalanche on my head in London. The 10 year moratorium on babies! Every paper in London sent reporters to the Savoy (except the Times). I was so weary & tired as I had not slept all night on the plane & as I had no prepared statement on the 10 year moratorium idea. It was the most trying and exhausting experience Id really had. Photos, snaps, movies, the Pathe - Paramount took pictures. The RKO and others wanted me to go to the studios. I refused." 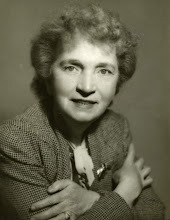 Sanger had long argued that the only thing that parents could do when they did not have the resources to raise children was to postpone having them until conditions improved, and her suggestion for Europe was little more than that same practical advice, ramped up in scope. Sanger wrote her secretary Florence Rose on July 26 about the over-reaction: "Is England included? Do you mean England? Have you been fed by the press that England is starving? My reply: “Ive only just landed in England you don’t look hungry (to the reporters) but if you are yes England too!!! That set John Bull off & retorted that “Granny Slee better stay home & teach the American G.I.s how to avoid leaving illegitimate children for England girls to work for!!!" Sanger's main purpose in going to England was to attend a family planning conference, but because of the furor, she decided not to attend. She did work with activists in England to plan the International Congress on Population in Relation to World Resources, held without such ado, a year later in Cheltenham, England.